CEVO and Gfinity announce partnership to host the live final of the CEVO Gfinity CS:GO Pro-League Season 9. The top 4 North American and top 4 European teams will compete live at the Gfinity Arena, London, on April 28th through May 1st. Launching on Thursday, February 18th, CEVO will play host to the online qualifiers as 32 of the top CS:GO teams from North America and Europe will play in up to four 16 team single elimination brackets (per region) over the course of the online season. At the end of the season, the winner of each qualification bracket (4 teams per region) will have the opportunity to compete at the live Season 9 Pro League Finals at the Gfinity Arena in London. This event will amalgamate CEVO’s established Pro-League series with Gfinity’s experience in hosting world-class broadcasts in a true premium eSports venue, with a live audience. At the request of many professional teams, CEVO has modified the traditional online season format to reduce the number of games each team is required to play to qualify for the live Finals. As a result, initial matches are even more crucial, as teams will now secure qualification to the live Finals with a minimum of four online pro league series wins. The CEVO Gfinity CS:GO Pro-League Season 9 Finals will take place from 28th April to 1st May, 2016 in London at the Gfinity Arena. The tournament will begin with a dual-format best-of-three map group stage. Upon the conclusion of the group stage, the top two teams from each group will advance into a single elimination best-of-five bracket. There is a total prize pool of $125,000 at stake with the winner alone taking home $55,000. The Gfinity Arena is the UK's first dedicated eSports venue with some of the best facilities in the world. Further details on the live Final will be shared on gfinity.net/events. 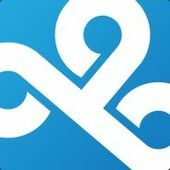 Follow all of the online qualification action at cevo.com/season9. Who can Join? is it Invite and up? Why aliance CEVO-Gfinity? Not DH-Faceit-PGL?